The intent of PPC competitions is to provide law enforcement officers with a competitive program which will improve their skill and competence. 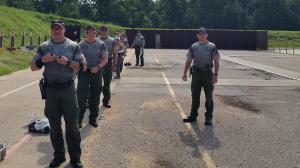 The NRA’s eligibility rules allow law enforcement, military police and civilian security officers to obtain a classification so they can compete against other officers with similar skill levels. 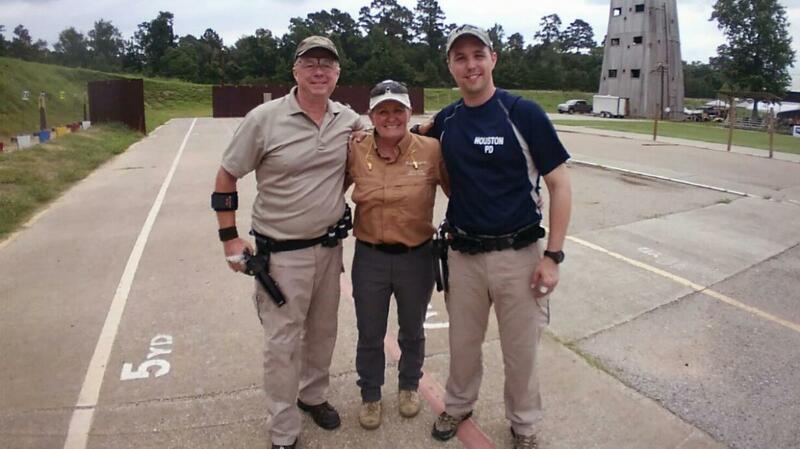 Since 1960, the NRA has offered a complete shooting program to law enforcement agencies including both training and competitions. This program includes firearms instructor training and certification standards to help train police officers in the safe, efficient, and timely use of their firearms including handguns, shotguns, patrol rifles and precision rifles. 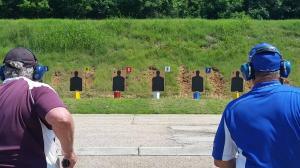 The NRA established Police Pistol Combat (PPC) matches in 1962 to provide law enforcement officers with a venue to compete with law enforcement officers from across the USA. The NRA Law Enforcement Shooting Competition Program consists of local, regional, state and national level competitions culminating in the National Police Shooting Championships (NPSC) held annually in September. The first National Police Revolver Championships were conducted in Bloomington, Indiana, in 1962 with Larry A. Mead, of the Columbus, Ohio, Police Department becoming the first National Police Champion. 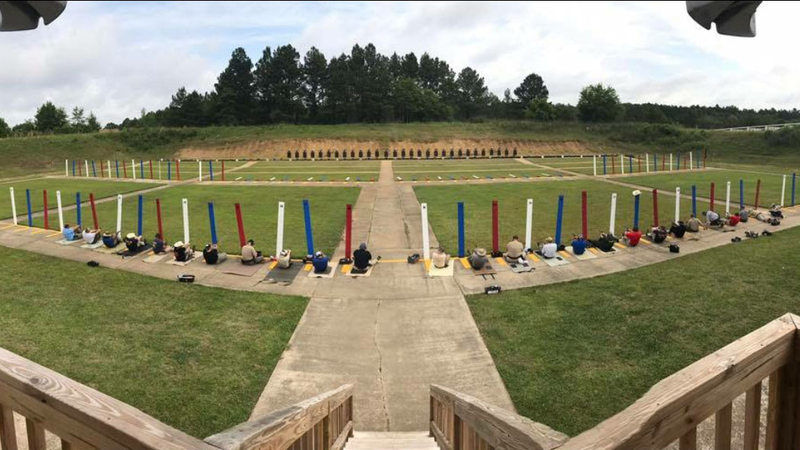 From 1969 through 1980, the National Police Revolver Championships were conducted by the Department of Public Safety and the Mississippi Law Enforcement Officers Training Academy in Pearl, Mississippi. 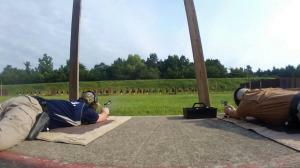 In 1981, The National Police Revolver Championships were then moved to Camp Dodge, Iowa, where they were conducted by the Iowa Law Enforcement Training Academy until 1988. In 1989, the Championships were re-titled the National Police Shooting Championships (NPSC) and moved to Jackson, Mississippi, where they were conducted by the City of Jackson Police Department. In 2006, the Championships were relocated to Albuquerque, New Mexico, where they are conducted annually by the Albuquerque Police Department. Range equipment- Holster capable of safely holding firearm, gun belt and magazine holders or speedloader holders (minimum 3.) Magazines or speed loaders (minimum 4.) Ear and eye protection, cap or hat, pencil for scoring, and a range bag or box to carry ammunition and other items to the line. Guns are carried to the line in the holster because that is what law enforcement officers do. 150 rounds of ammunition. Match 2 – 18 rounds total fired from the 25 yard line in 90 seconds with 2 reloads. Six rounds from each of three positions, kneeling unsupported, weak had with barricade, strong hand with barricade. Match 4 – 24 rounds total fired from the 25 yard line in two strings of 12 shots each time limit is 35 seconds per string. Match 5 – 60 rounds total; 7 yard line 12 shots in 20 seconds (half of Match 1), 25 yard line repeat of Match 2, 50 yard line repeat of Match 3 and then a final 6 shots from the 25 yard line in 12 seconds without support. Total is 150 rounds with a maximum score of 10 points per round. A perfect score is 1500 points. The X ring is used as a tiebreaker. All targets are the NRA B-27 silhouette. 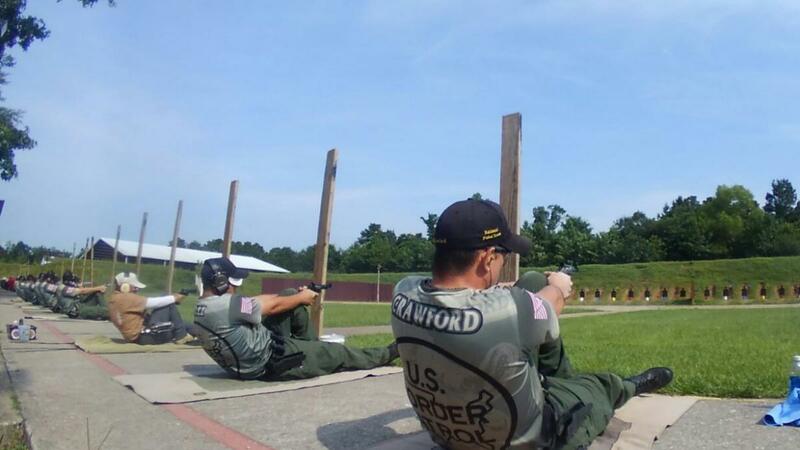 NRA DISTINGUISHED REVOLVER / PISTOL PROGRAM The NRA Distinguished Revolver/Pistol Program was designed to recognize excellence in Police Combat competition, it is similar to the Distinguished Programs for Service Rifle and Bullseye pistol competitions. 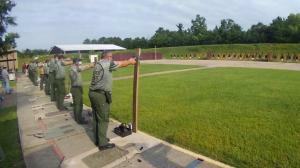 Distinguished match is fired during NRA PPC Regional tournaments and during the NRA National Police Shooting Championships. Competitors can be awarded 6, 8 or 10 points and when they achieve 30 points they receive a consecutively numbered badge unique to them. As of the 2016 season there have been 807 Revolver Distinguished badges awarded and only 344 Semi-Automatic Distinguished Badges awarded in the history of the program. The course of fire is the same as Match 5 above, total is 60 rounds. 12 rounds in 20 seconds from both the 7 and 15 yard lines just like Match 1 above. 18 rounds from the 25 yard line in 90 seconds. 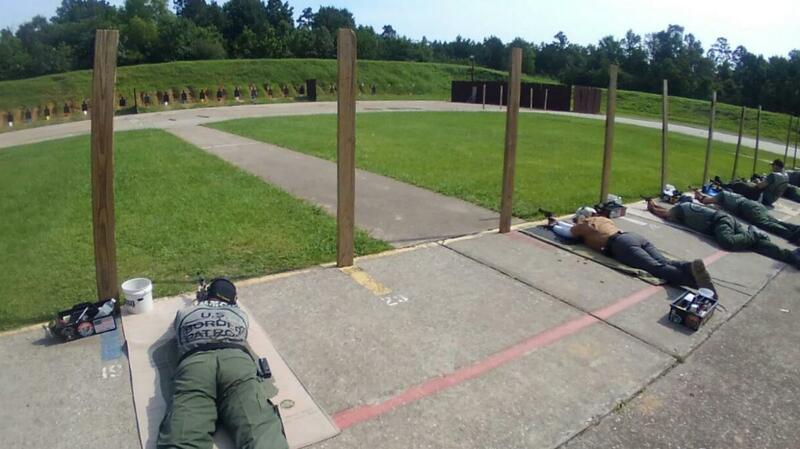 Six rounds are fired from each of three positions; kneeling using the barricade for cover and support, weak hand standing using the barricade for cover and support and strong hand using the barricade for cover and support. Just like Match 2 above with the exception requiring the use of barricade while kneeling. 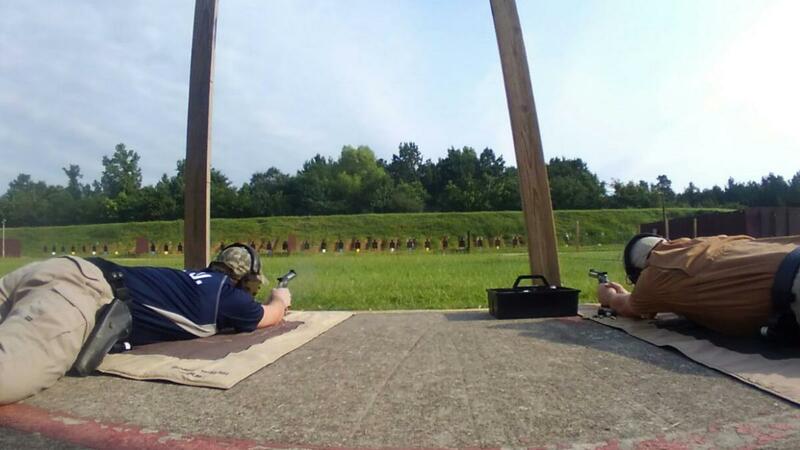 TSRA Distinguished Program: the TSRA sponsors a special Distinguished match that is only fired once annually at the Texas State PPC Championships. It consists of the same course of fire as the NRA Distinguished matches, 60 rounds total, shot with a 4” barreled stock revolver or a Stock Semi-Automatic. NRA GOVERNOR’S 20 PROGRAM The NRA Governor’s 20 Program was designed to recognize the top 20 law enforcement officers from each state for excellence in Police Combat competition. Each state’s program is administered by the respective league or association. NRA 1480/1490 HONORARY CLUB PROGRAM The NRA 1480/1490 Honorary Club Program was designed to recognize Police Pistol Combat shooters who have fired outstanding scores in competition by admitting them to the NRA Honorary Clubs. 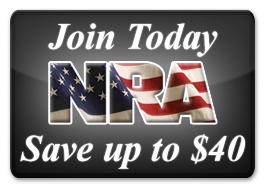 Membership is acquired by firing a score of 1480 and/or 1490 or more over the 1500 National Police Combat Aggregate in an Outdoor NRA Registered Police Pistol Combat Tournament. The following awards will be presented to honorary club inductees: Silver-Toned Medallion A silver-toned medallion, signifying an individual is a member of the “1480 Club.” In addition to the above, a “1480” brassard (patch) may be purchased for $1, as well as a “1480” hat/lapel pin which is available for $12.50 each. Gold-Toned Medallion A gold-toned medallion embedded in Lucite signifying an individual is a member of the “1490 Club.” In addition to the above, a “1490” brassard (patch) may be purchased for $1, as well as a “1490” hat/lapel pin which is available for $12.50 each.